My alcatel phone has suddenly changed to using French. How do I change it back to English? Any ideas? Bot this one for my mom. Good for calling, thin, great look, easy to use. will i think its time for me to buy 2.
its been two weeks since i've seen it. its future is not so gear to up. but its for good in texting and calls only. +the FM radio that gives u a surprice..
need user manual in english or french.where can i get one? I have this phone for about 6 months and it's ok with me. Of course it doesn't have music or camera, but man! Texting it's so nice because the keys are really soft and they response very well to fast typing. And the best thing it's made for bad treatment. I have dropped it so many times and it is still the same =). I was thinking about to change, but I'll keep it. If you like a second hand 1100 good for you, go and be happy with it. 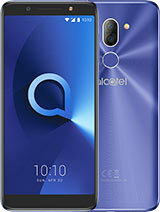 This Alcatel is meant for people that are just looking for a phone, not a multimedia device. And does perfectly what it is supposed to do, make phone calls. How can you say that you like it? Give me an reason why should i buy it. Why? No wap, no memory, no mp3 no nothing. Why? Because it has color screen? For what, it doesn't have a camera. For a good battery? (if has one) what about nokia 1100 for ex. I prefer an 1100 second hand instead this alcatel new. I bought this phone it cost me 1700 pesos (34 USD). Very light good for texting. We txt a lot here in the Philippines. best value for your money. I only need basic functions. Call and txt. thats it. My unit is Alcatel 211 it has a fm radio. 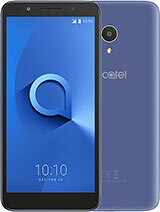 i have a question.. is the alcatel OT-S211 sturdy and is it like nokia that can survive many years?..thanks! i brought this phone today, because my OT-S853 died. This is a very LIGHT phone, i like it. Can I associate 1-9 buttons to functions??? I bought this phone at a local supermarket because I left my nokia at my mates house. I did pay 10€ for it and got 10€ of prepaid credits. I am quite suprised of the quality. The phone feels solid and is very light. I did bearily noticed that I was carrying the phone along. The phone is also thin, which is nice. Haven't done anything whith the USB yet, expect charging, but I am not expecting that because it is a PHONE and it calls and does the texting job and that is all what I need till I got my N82 back. 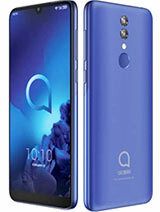 Shortly: Alcatel did a good job hiring the right Chinese guys. I recently bought the OT-S211 and i absolutely love it! 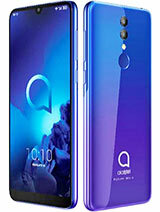 This is the first time I bought an Alcatel phone and Im quite surprised with its quality. It ranks right up there with the big names, maybe even better if you consider the price factor. 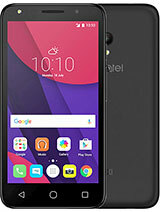 If you are looking for a cheap basic phone which looks good and is easy to use, this is it. Plus it has an FM radio as a bonus. For questions regarding this phone email me un112@msn.com as I was testing this unit and have experience with it. It is very basic but very charming too. This is a very good phone. And for those who want to listen music, you can buy OT S211. S211 is this phone but just added with FM radio. This is ideal phone for those who want a basic phone with fm radio. This is the cheapest among all phones of this kind. 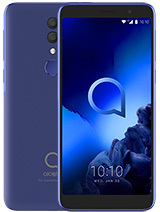 Total of 23 user reviews and opinions for alcatel OT-S210.